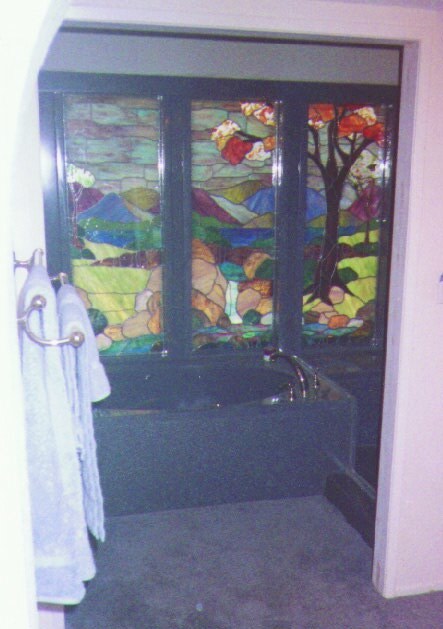 These three seperate stained leaded glass windows make up a mural that is made twice as dynamic by the use of a full wall mirror to the left of the roman tub. 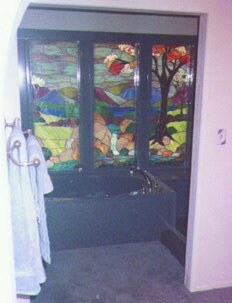 To the right of the tub and encased within the shower itself is the right pane. 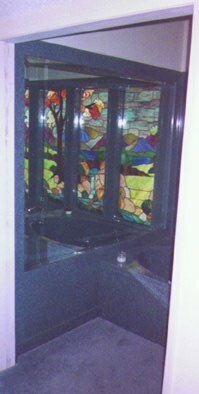 The shower utilizes a push-button control valve system with full body sprays.